I love Lebanese food. 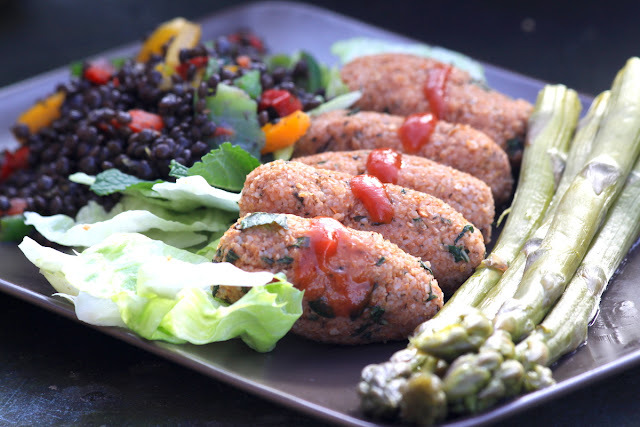 This is one of my favourite versions of a vegan kibbeh. 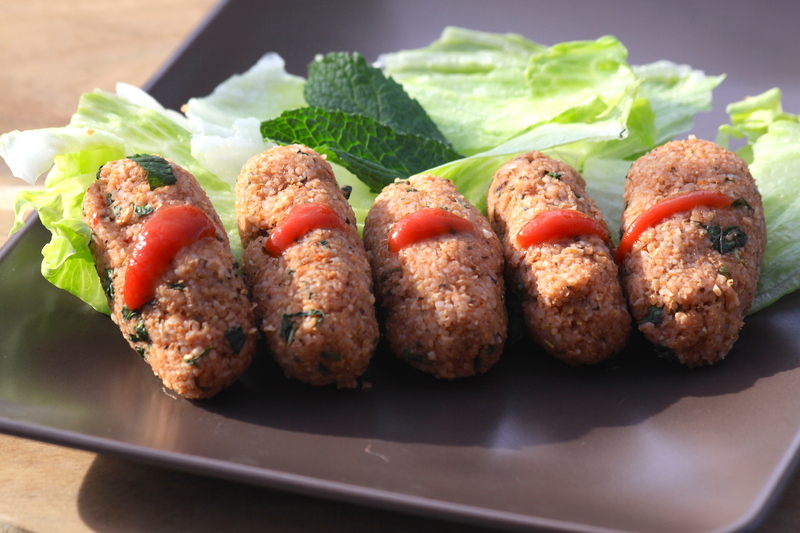 A similar snack is made in various Middle Eastern countries, with varying names to it. Add the bulgur to a large bowl, add the boiling water and allow it to swell (it should take about 5 to 8 minutes). The bulgur should be soft enough. Add all the other ingredients and knead the dough with your hands until all the spices have are well spread and the consistency is sticky. Shape the little kibbehs with your hands. I love eating them just like that, with salad. You can also fry them or spread the dough on a greased baking tray and bake it for 20 minutes in 190°C. If I make the oven version of a kibbeh, I like to add 1/3 of the volume in cooked and mashed potatoes and adjust the seasonings accordingly. The potatoes help it to be moist and it adds a better texture to the baked version. If you make it in the oven, try adding tomato slices on the top - or cashew cheese. Or both.